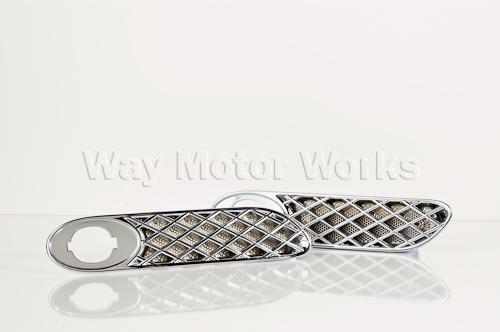 These Chrome Side scuttles will dress up the exterior of your MINI. Direct replacement for your original black or S logo grilles. They hold the turn signals just like the stock side grills did. Comes as one Pair enough for one MINI.